Our "Mole" day meeting was extra special with the visit from DG Joe Hentges, his wife Bridgette as well as Assistant District Governor Stacy Fox. Following pledge of Allegiances to the Flag and to Avogadro's constant we settled into our normal routine for the next three minutes with our "Joke Off" contestants Maeve and Lynne. Both were surprisingly (no offense) good todsy. Too bad if you missed today's meeting, you'll just have to trust me on this. Stacy Fox then addressed our club and gave a lengthy and impressive introduction of District Governor Joe Hentges. Joe is a 35 year Rotarian, musician, retired school Administrator/Superintendent, Minnesotta/Illinois native, outdoorsman and author of two books. He and Bridgette retired to Arizona over ten years ago. They are members of the Dove Mountain club. Our DG began his talk by reminding us that our clubs 30th birthday is coming up April 2018. Why are you a Rotarian was asked of John D and Eric and their responses echoed the International membership responsesers-Friendship and Service. DG Joe complimented our club on many factors including giving per capita of $364 to The Foundation and total giving of $417 per capita which ranked third out of 52 clubs in District 5500. There are concerns regarding Rotary membership in District 5500, but our club's growth and retention of members is better than the District average. Also, concern was expressed that in our entire district there are only four exchange students. The DG has five main goals this year: 1) Empower and strengthen local clubs 2) Develop Club and District Leaders 3) Support Youth Service 4) Foundation and Polio Eradication 5) Promote Rotary awareness. Maeve Johnson was called to the podium and presented with a well deserved Rotary "Above and Beyond" pin. Rotary International by participating in The Tour de Tucson, which Maeve has been very involved with our Aide Station, has raised over 35 MILLION DOLLARS in the past five years for the eradication of polio!!!!!!!! You can help. Go to "MYROTARY", click "Give" at the top right, Click on "DONATE", Polio Plus Fund, Miles To End Polio. It is really simple. DG Joe ended with a call to Pima County Rotarians to "Like" the Facebook pages of the other clubs. 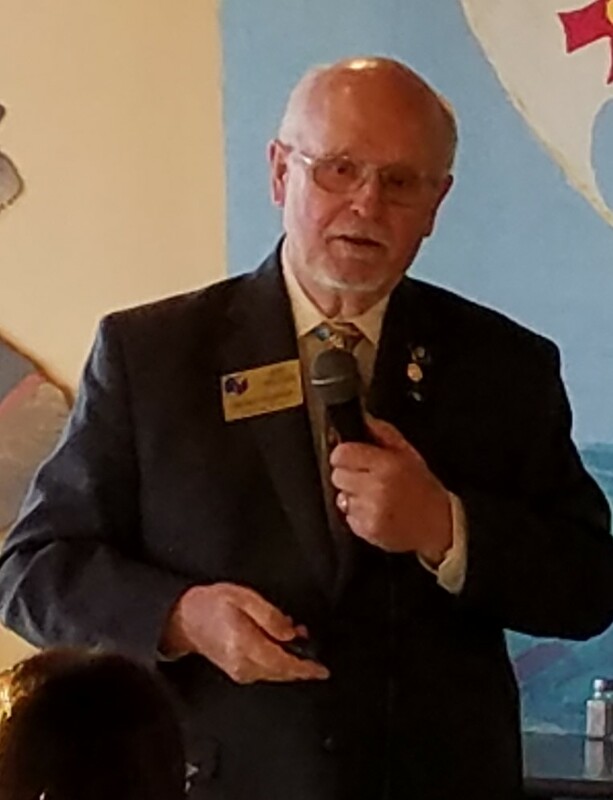 Randy ended the meeting with a feel good story of him and Lynne being interviewers of a young lady seeking help from the Arizona Rotary Vocational Fund. A decision was made to assist her with two thousand dollars in tuition towards a career in dentistry. IF YOU HAVE READ TO THE END YOU ARE NOW AWARE WE ARE DARK NEXT TUESDAY. No social event has of yet been planed. President Jo will be in Manhatten, but we are free to congregate in front of her home and to trick or treat her neighborhood.